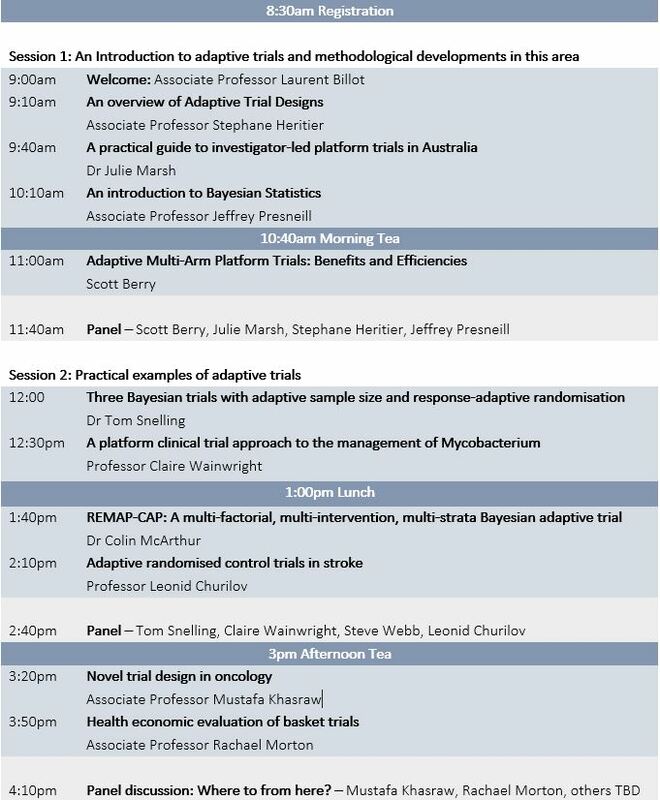 This one-day workshop will provide you with a general introduction to adaptive trials using novel and innovative trial designs that have become increasingly popular with advances in computing and statistical powers. We welcome back global adaptive trial design guru Scott Berry (US) as well as local ACTA experts to take you through all things innovative. Please note that this event is a repeat of our Melbourne workshop held on the 22nd of March 2018.